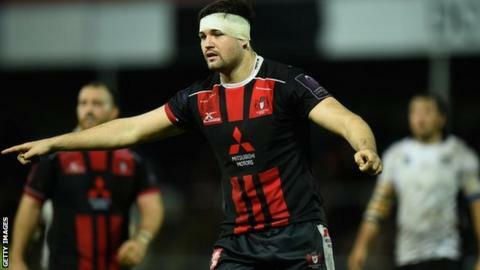 Bath have completed the signing of second row Elliott Stooke from Premiership rivals Gloucester for the 2016-17 season. The 22-year-old, named in the England Saxons squad in 2014, has made almost 70 appearances for Gloucester. "Elliott is a big, strong lad, and we're looking forward to seeing him continue his development with us," said Bath head coach Mike Ford. "He has a great skill-set for a young player and a great attitude." The length of Worcester-born Stooke's contract with Bath has not been disclosed.